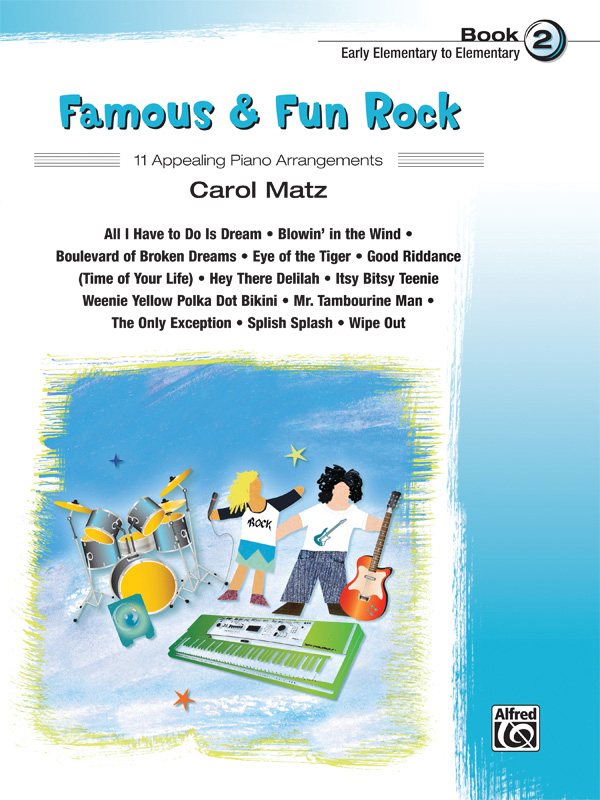 * Famous & Fun Rock, Book 2, is a collection of appealing arrangements of familiar songs that students are sure to know and love. * Written at the early elementary / elementary level, it may be used as a supplement to any method. * The optional duet parts for teacher or parent add to the fun! * Titles: All I Have to Do Is Dream, Blowin' in the Wind, Boulevard of Broken Dreams, Eye of the Tiger, Good Riddance (Time of Your Life), Hey There Delilah, Itsy Bitsy Teenie Weenie Yellow Polka Dot Bikini, Mr. Tambourine Man, The Only Exception, Splish Splash, Wipe Out.